Invisible chat readers are especially developed for users that like to use their chat apps, open and read chat messages without showing the other person on the chat they read or see the message. Hiding the seen and read status nowadays can be simply done with using the right invisible chat reader app on your smartphone. To make the search easier, we did our research and we discovered one very helpful and efficient app for these purposes. 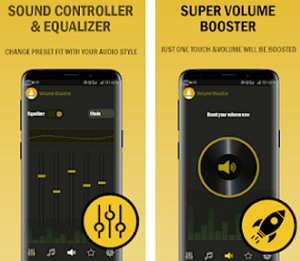 Let’s discuss about the app. Developed for android users as one very easy for using, simple, private and safe incognito chat reader this app offers all its users to read messages from their chat apps while staying hidden and without showing their seen or read status. 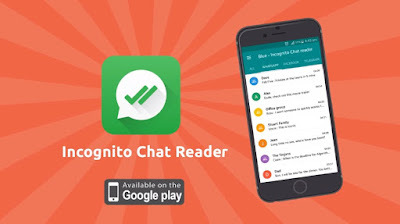 This app works with chat apps like Viber, WhatsApp, Telegram and Facebook messenger, allowing users to stay invisible, read messages and prepare an answer directly on the app without the other person knowing they read the messages. Completely safe, private and secure, users with the app will read chat messages hiding the seen and read status without any effort. The Blue tick, last seen reader helps users to efficiently and effortlessly stay incognito while reading chat messages from various chat apps like their Facebook messenger and Viber while hiding the message they read, from WhatsApp while hiding the blue double check and last seen, from Telegram while hiding the blue tick. With the help of this invisible reader, users will be able to use an identifier for the unread messages and they will be able to save list of messages so they would be able to read them anytime and anywhere they want to. 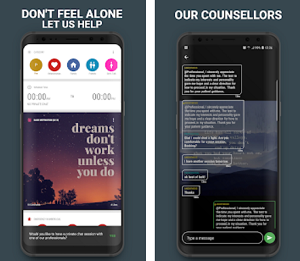 Users can use the app for replying on WhatsApp and they could also keep list of images, videos, audios and voice notes for supporting chat apps like Telegram and WhatsApp. Users on the app can enable or disable chats from different chat apps and they can easily do wise chat grouping if needed. On the app users will have the chance to use the fluent IU and material design while reading messages easily without showing read or seen status and using no hack like turning off their Internet connection, staying invisible and reading chat messages completely incognito. Download the app for free on Google play to stay hidden and read messages while staying invisible!